If I were to say that I do not look forward to new dessert places in the city, then I would be lying. I regularly keep a close eye on the sweetest of treats this city has to offer. When a little birdie whispered that Café Mangii would be launching their new dessert menu, I couldn’t contain my excitement. I jumped in at the opportunity to brunch at their Powai outlet for a bloggers’ table event. We braced ourselves for a sugar induced binge as we were being presented with not one or two but 8 sugary treats. I felt like a kid in a candy store about to embark on a sugar rush. 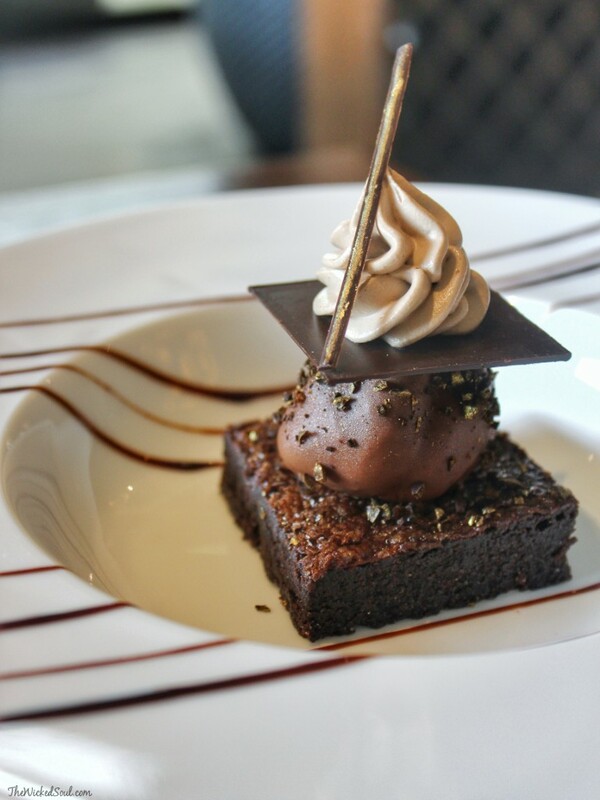 The extensive new desserts menu is curated especially for those blessed with a sweet tooth. As recited by the Chef, the dried apple used here is dehydrated in the oven for 18 hours. Next up was this beautiful piece of art, Rose shaped Tiramisu: Italian custard encased in chocolate coated pot/shell with mascarpone cheese resembling petals, gets a 100 on 100 for presentation. While only my camera could savor this beauty as Kahlua (coffee flavored liquor) was one of its ingredients, I wish this was made sans the liquor. Sigh! My disappointment didn’t last long as I was soon to be presented with a Cheesecake! While I am a total sucker for chocolate desserts, my love for cheesecake is no secret. 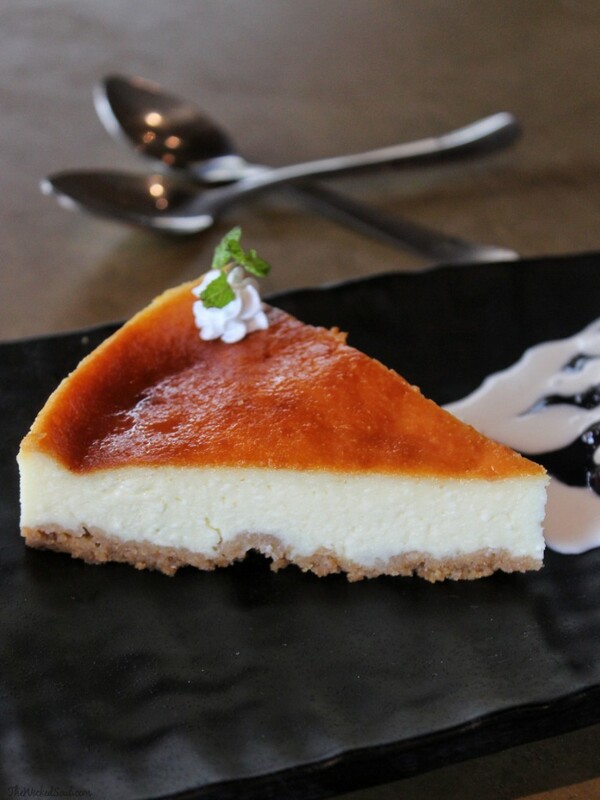 Mumbai has a dearth of good cheesecake places & I was counting on Café Mangii to fill the void. Silky smooth Cheesecake with a base of digestive biscuits and a split proportion of yogurt and Philadelphia cheese was light and soft as a cushion. I could devour two of these and not feel an ounce of guilt. This place forces itself into my list of best cheesecakes in town! 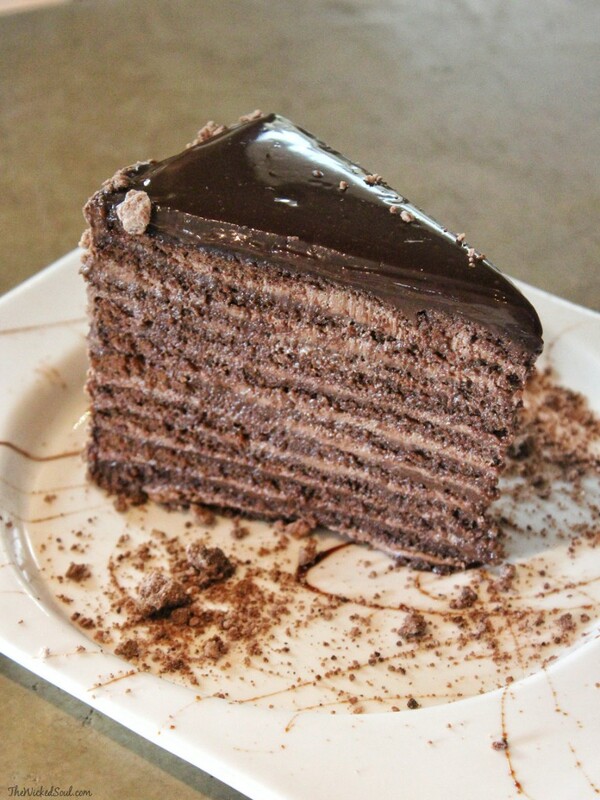 Following the mind boggling cheesecake was the much awaited 34 layers chocolate cake- first of its kind in town. The cake did not live up to its hype. It was cloyingly sweet and overly moist. 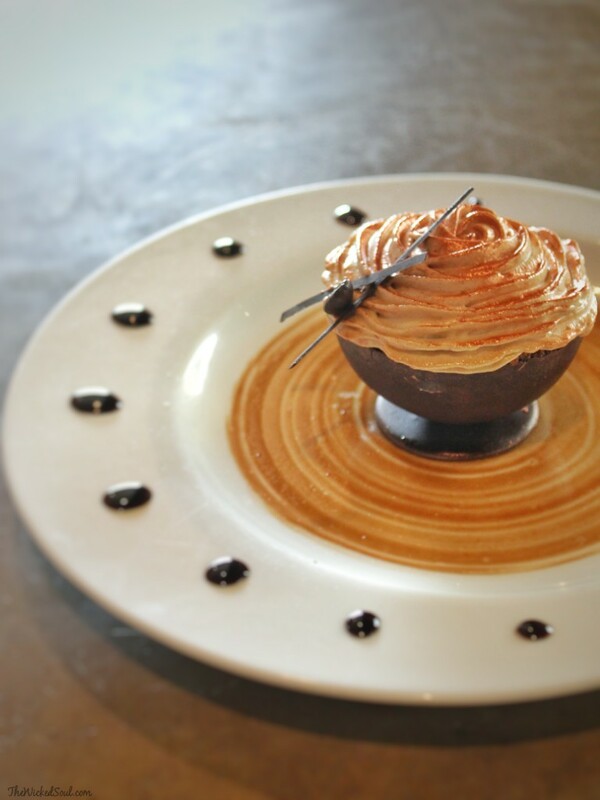 Mocha fudge cake with coffee creameux and mocha cream is a bitter-sweet treat for all the coffee lovers out there. 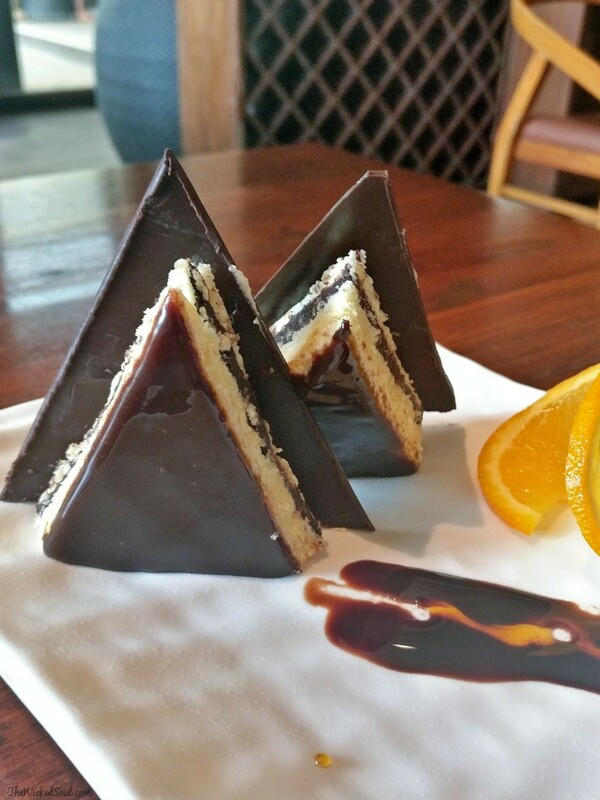 Slices of almond cake are coated with chocolate cream and a side of chocolate sauce and orange marmalade. This would make a great high tea dessert while gossiping with your girls and a cup of coffee. 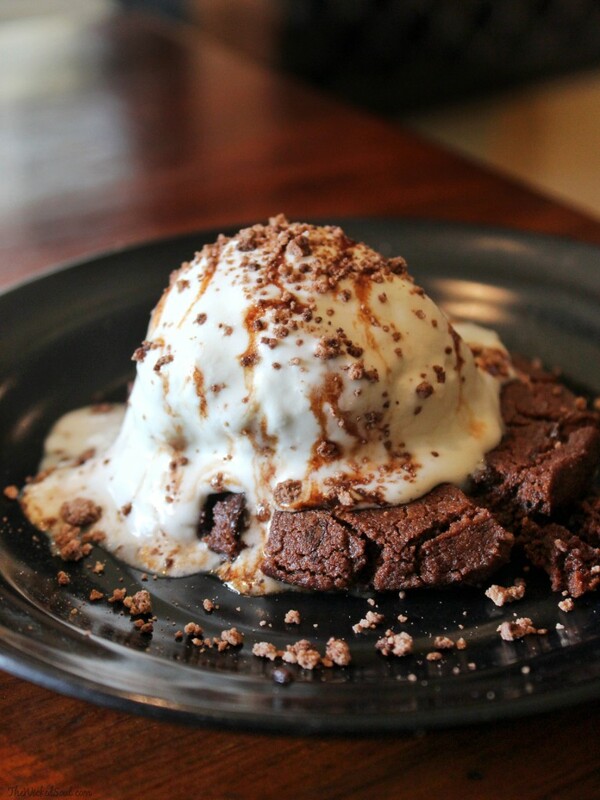 Nutella surprise crunch: Attention vegetarian pals, this one’s for you! 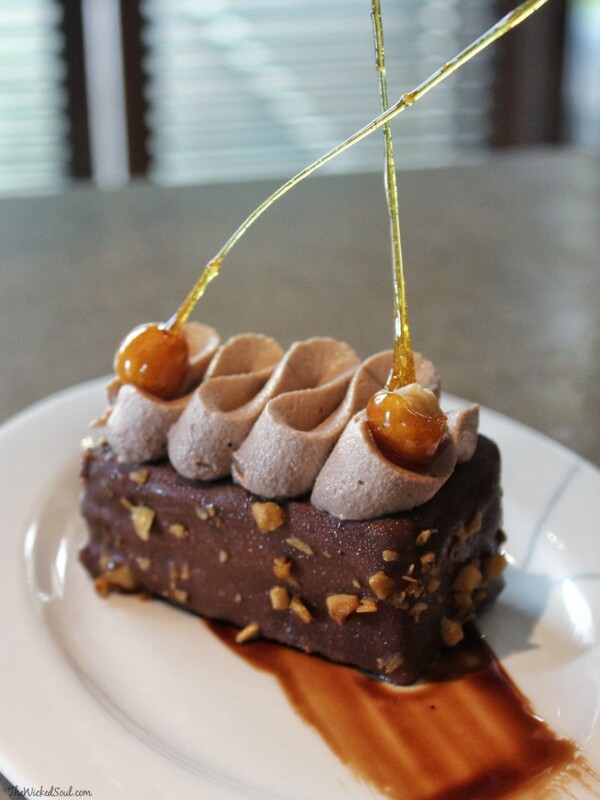 Eggless cake coated with chocolate and topped with a twirl of hazelnut creameux and caramelized hazelnut. It was decadently creamy punctuated with the nuttiness of Hazelnut. With my sugar levels nearing the dangerous level, I hoped to skip the last sweet offering. Was it possible that TWS passes on a dessert? As they say “save the best for last”. The heroic Molleux made its way to our table and its overall appeal had me craving for a bite. Classic French buttery warm cookie filled with 100% chocolate and topped with vanilla ice cream. Each bite was a delightful surprise. Think the crunchiness of cookie, the Saltiness of butter, the gooeyness of dark chocolate, and a cold slurp of vanilla ice cream. This new dessert is as dreamy as it sounds and pure magic. Priced at just under Rs.200 this one’s a real steal! The experience was speckled with more hits than lows. I was truly smitten by the commendable array of desserts, impeccable service, and effortless experience. 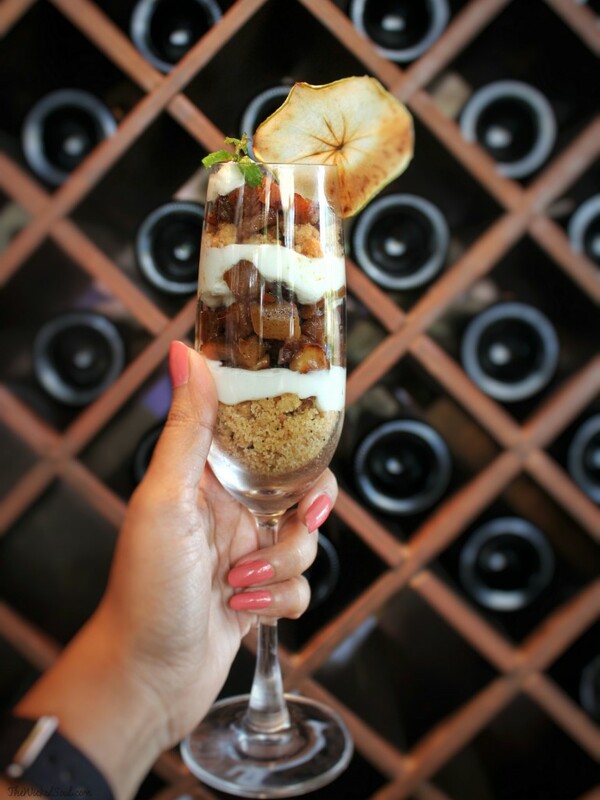 Café Mangii is a new dessert haven and leaves its mark as a preferred spot for a relaxed brunch date. Blame me for your sugar cravings, go ahead.